Today we are here to honor a man of stature; a farmer, a solder, a leader, a visionary. No, I am not talking about George Washington. I describe our pioneer, John King. John King, along with Wayne Jakino, Al Bell, and Terry Clark were IGRA's "Fantastic Four". They blazed a trail for all of us to follow, at a time when gay and rodeo were not fashionable. John is chosen for this award, not because he is handsome, intelligent, and kind, but because he is a true example of what IGRA should be. He believes gay rodeo is a place where a young person who is learning about him or herself is able to gain confidence, acceptance, new skills and a new family. That's what is important to him - changing lives for the better, which he has done, and to quote John, "Rodeo should be fun, fun, and more fun." John grew up as one of four children on an Iowa farm. He recalled as a young boy of 16 that on a bitterly cold New Year's Day, after milking the cows he had to take a long, hot bath to warm his blood. Later that day he saw a football game on TV where the fans were wearing short sleeves and basking in the warm Arizona sunshine, and John vowed then and there, that someday he would live in that place that was not bitterly cold with blizzards and sub zero temperatures. True to his promise, he now resides in Arizona, but his involvement with rodeo began in Colorado. 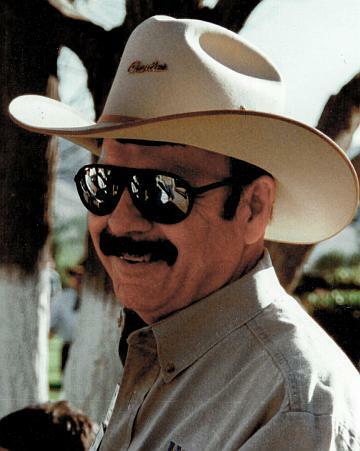 John opened "Charlie's" in Denver in 1981 and soon after, helped Colorado form their rodeo association, host their first rodeo and lay the ground work for the first IGRA Convention in 1985. He served as the first chairman of the Trustees and was Chairman of the IGRA Audit Committee for 18 years. 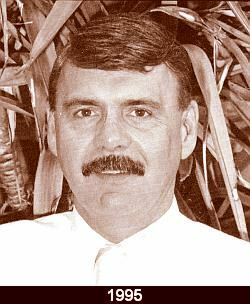 In 1984 John opened a second "Charlie's" in Phoenix and helped bring rodeo to Arizona and in 1993 he opened "Charlie's" in Chicago and helped Illinois establish their Association. He has served 1 year as Illinois' Trustee and 7 years as the Arizona Trustee, has been Rodeo Director 8 times, and Finals Rodeo Director 4 times. I don't know if it's that Midwest dedication, love of rodeo, or if he's just a glutton for punishment, but John has never missed an IGRA convention. After 21 years, that alone should qualify him for this award. And now with deep appreciation, it is a privilege to induct my friend, John King into the I.G.R.A. Hall of Fame.